I had an idea. I had an idea for a $100 Story. The idea was simple: help a couple of fans. I sit in my house with three healthy children, a husband that adores me, and I get to work at a business which I own. I know I am lucky and it is my duty to help others. I put out a message on my Facebook page asking for people to nominate families that needed help. I had a $60.00 budget to help. I had three families and I was ready to do something. I bought and gathered stuff to send. The postage alone was $98.02. Yes, I was over budget because I spent more than $60 on gifts for these families. This is a time when it didn’t matter. I had to get those gifts out. I recently participated in a fundraiser for my children’s school. I sold several hundred dollars worth of ad space on my website to help the school. Then we were at the holiday program and I won $100. I couldn’t believe it. The hundred dollars I had spent had been given back to me. I decided I would sponsor the giveaway train the week after next and I would pay the prize. Then something funny happened. I posted about this $100 that was returned to me and people were delighted and some were still in need. I went to get the mail and in it was a $25 Amazon gift card. I thought wow this could help one of my fans so I grabbed one. I ordered her children a gift. I went over budget again by $25. Then I received another letter for help and I helped them too. You guessed it, I spent $100 total. It doesn’t matter that I went over budget. I have a stockpile and I am not afraid to spend my grocery budget for next week or my $20 “all about me” money on someone else. I was so excited to help someone. It is such a wonderful feeling. 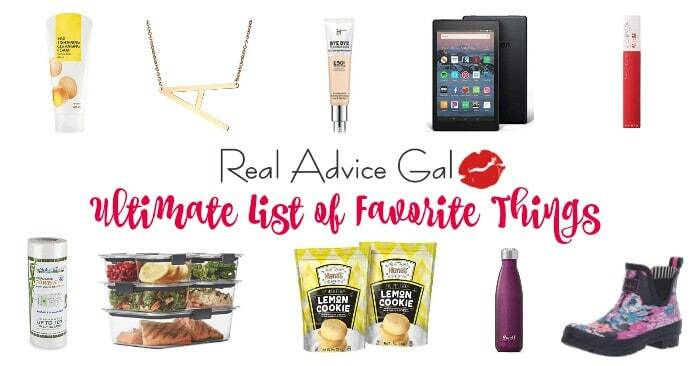 In fact, it is the whole reason for Real Advice Gals. The site was created to help, inspire and Make Dollar$ out of Change. I then went back to work. I work all the time but it is worth it. I received an email from a company I blog for and in it was a bonus. I would like to help another family so I will do just that! I hope you will help me continue to grow my business so I can continue to help others. When you have a moment, read an article, stumble it or share it. If you have friends, send them to my site. It is because of all of you that I am able to help so many. Update: I sent another three families toys for the holiday season :)… then I got a call and an offer for a $100 gift card to Sears. I held my contest and the winner is going to help her friend whose house burnt to the ground. I can’t imagine how horrible that must be. I can imagine the look on their faces when they receive the blessing this lady is going to offer. The best part is the $100 story continues. I received an email which happens all too often. The email was from a company that wished to work with me. I am glad this also happens often. I read their mission and it spoke to me. It already had my mind set on creating an event to help people. I knew as I read their pitch to work with me that they should be involved in my mission to help someone help someone else. I used to call this the chain of kindness. I would challenge my students to do something nice each day. The rule was they could not explain their actions nor could they do something nice just to receive a link in the chain. The children who were third-grade special education students would come to my room each day with their good deed. We would write them down and add a link to the chain. The chain grew so large that you could barely see my ceiling which was amazing since I had only 9 students. They would listen to what one of their friends did and then the next day they would replicate the act of kindness. I often think about how one good action can cause several good reactions. I have enlisted the help of several wonderful bloggers and we intend to create an amazing amount of reactions this coming week and throughout the year. it only takes one kind deed to create another and I have every intention of using the power of social media to create a wave of kindness. Wow, this has brightened my day so much! I was feeling down in the dumps today because of our financial situation and had been praying and returned to my computer to find your message. I have been struggling to make it working from home (I have an eBay store) but it is just not paying the bills. My husband works but we live paycheck to paycheck. So thank you so much, you are truly an angel! This is a huge blessing and will be used to get much-needed groceries! As for the other $50, I would love to send that to my mother, Mary Jean . She has Multiple Sclerosis which has prevented her from working at all anymore, so she struggles financially and could definitely use this to help pay bills. I am so excited by our progress yesterday in my email I received a message asking if she could provide two packs of diapers and wipes to a fan in need. We talk about passing it on to a local person in the area. The chain continues. I was again surprised this evening 1/2/2011 when one of my winners of 100 cut coupons asked me to send them to another family in need. I believe with every good deed a life is changed. 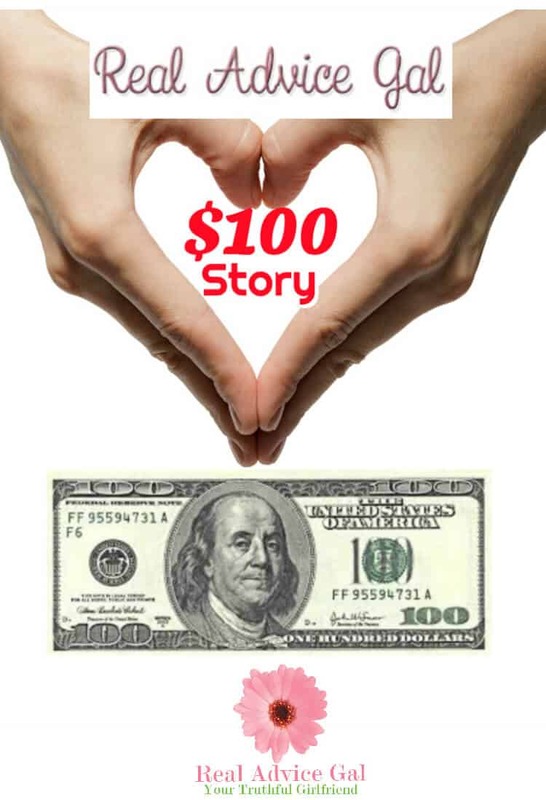 I started the $100 story to show people that the impact of $100 can actually change people’s lives for the better. The $100 story started a couple of years ago. You can read about it here in my Madame Deals $100 Story. This is where we are for this year so far. I start with $100. I received this request in my email on facebook. I was writing to ask you for your help. If you’re able to help, if not it’s okay. We’re trying to help a family with Christmas but we don’t even have much money ourselves. There is a family with 3 little girls, their ages range from 16 months, 2 years, and 6 years. Their mommy was tragically killed a few months ago by a drunk driver, she was pregnant at the time. The father of the girls is trying his best, he works construction so money is very tight. Her family is fighting him for custody and it’s a big mess. Anything would help. We’re trying to get them some toys together and we have a Santa lined up to help us deliver them. Thanks for taking the time to read this. Hi I wanted to help with the Christmas gifts. Do you have any other information about the family other than their ages? Do they require toys to be new in box? Thank you. I know how hard it can be and when my family can help we really try to reach out. I am writing about the 3 little girls in need of Christmas gifts. I have a few things for them already (and plan to get a few more)…Where do I send them to? Do you have additional info such as their likes, sizes, names, etc? Thank you for all the wonderful things you do for all of us!! PS If you would like to pass this message on to the fan who originally posted the request, that is fine by me! I get many requests to help people and I can’t do it on my own. I believe we have opened hearts and created our own chain of love. I plan to unite people one good deed at a time.